Training for a race is no small feat, especially once you get into longer distances. Most people sign up for half marathons and marathons months in advance, in order to give themselves ample time to train accordingly so that they can show up on race day ready to give it their all. However, there is no disappointment quite like putting in hours, days, and months of hard work, training, and dedication only to get sidelined by an injury or some other circumstance out of your control that puts your running on hold. So what do you do? Do you just eat the race registration money you already spent? Do you show up on race day and volunteer or spectate and cheer on the other runners? Those are certainly possibilities, but if your heart is set on running the race, do not throw in the towel just yet! Thankfully, cross training – or other exercises and activities besides running that maintain your cardiovascular and muscular strength – is an option. While some forms of cross training may be out of the question for you, especially if you are injured, pool running may be exactly the answer you’ve been looking for to keep your fitness in check and not lose all the hard work you have spent months building up. Pool running is essentially just what it sounds like: you jump in the water and run just like you would on land. However, there are a few rules to live by if you are going to be pool running. The first is to invest in a water belt, or an “Aquajogger.” Some runners choose not to wear one of these and claim to get a better workout. While it may be true that you will definitely be working hard to maintain buoyancy and stay afloat without a water belt, you will very likely sacrifice proper running form. If you end up pool running for consecutive weeks or months at a time with improper form, the chances of injuring yourself once you get back on the roads skyrocket. So use a water belt. The next rule is to always water jog in the deep end. It might seem confusing at first, since the shallow end is where you can touch and where your feet will hit the bottom as you run but that is exactly why you DON’T want to do it. The water belt will help keep you afloat (if you are worried about sinking to the bottom or being a poor swimmer) and the deep end allows you to get a full range of motion without any weight bearing at all. One of the main benefits, especially if you’re injured, to pool running is that it’s a weightless exercise. The third rule is be diligent about your turnover. Because you’re staying easily afloat, you’ll need to focus in on making sure you are turning your legs over at the same increased pace you would while on land. Meaning don’t get lazy in the water! 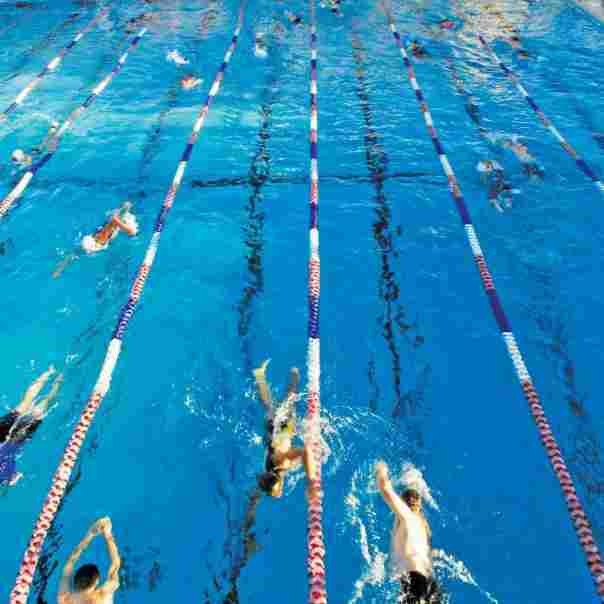 Fast running, or pool running at an increased effort that is hard to sustain for extended periods of time, will ensure that your heart rate is high, that you’re burning calories, and that you’re improving your fitness. If you are worried about becoming bored, try making a workout out of it. An example is as follows: warm up with an easy 10 minutes of pool running, followed by 10 one-minute intervals at a hard effort with a one-minute recover of easy pool running in between. Then follow that set up with 10 thirty-second intervals at a hard effort, with 30 seconds of rest in between each. Cool down with 10 more easy minutes for a total workout of 45 minutes. Still worried about getting bored? Another wait to beat boredom is to bring a friend along to train with you. 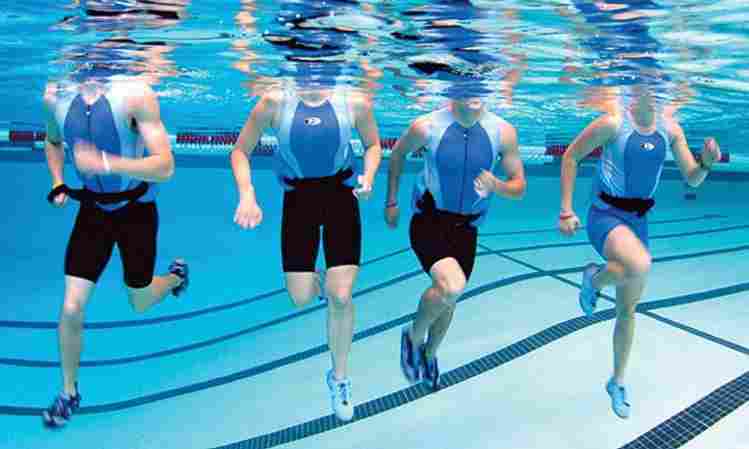 So when should you incorporate pool running into your normal training schedule? Well, in reality, pool running can be worked into ANYONE’S training plan. You will see positive results in your running because of the resistance training that the water provides. If you spend a lot of time training in such a way that you’re constantly working against resistance, getting out on land to run will actually feel easier because you’ll be pushing yourself through air, not water. So if you are just looking to boost your fitness, in general, pool running is a great option. But most people won’t try out something new like this until they have to, like when they get injured. Pool running is an excellent way to recover from an injury because it is completely non-impact (especially when you do it properly, with a pool belt and in the deep end) so you don’t risk re-injuring or further injuring yourself even more. But it’s also great because it is such a terrific way to maintain your cardiovascular endurance and muscular fitness. In other words, you won’t lose your running strength or fitness. 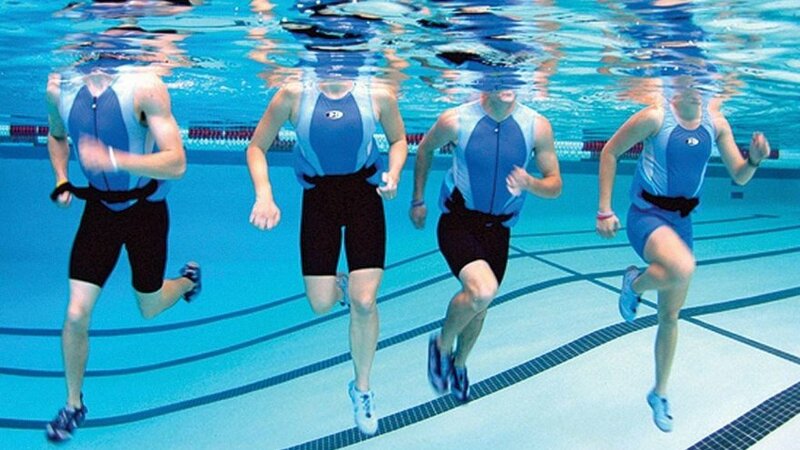 Pool running is also a great option for older runners and pregnant ladies. For older runners, you might not be able to keep up with a rigorous training schedule like you used to, yet you don’t want to completely give up running those half and full marathons. That’s not a problem when you have pool running to use as a substitute. Days on end of land running and hard workouts can really wear the body down, no matter what age, but especially for older runners. And if you’re pregnant, getting into the water in general is a great way for you to stay fit without posing a harm of injuring yourself or your baby. And being weightless in water can really take away some of that discomfort women have while pregnant.